An Egyptian billionaire is offering to buy an island for people fleeing to Europe from war-torn countries in the Middle East and Africa. Naguib Sawiris, one of the region's wealthiest men, said "there is no limit" on what he is willing to spend to buy an island from Italy or Greece -- where thousands have been arriving -- to provide the refugees with a new home. "Greece or Italy, sell me an island," Sawiris tweeted. He even suggested a name for the new country: "Hope." He said there are dozens of empty islands off of Greece and Italy that could handle 100,000 to 200,000 people. And he rejected a suggestion that it was a "ridiculous" idea. "It's a very simple solution," he told CNN Friday. "They sell the island to me and I'll make a temporary shelter for these people. I'll make a small port or marina for the boats to land there. I'll employ the people to build their own homes, their schools, a hospital, a university, a hotel," he said. Sawiris, the chief executive of telecom group Orascom TMT, said the people would be free to return home at any time or stay on the island. Greek and Italian officials were not available to comment on the proposal. Sawiris said, "I sometimes think the politicians don't have a heart." "All I need is the permission to put these people on this island. After that I don't need anything anymore from them. I'll pay them for the island, I'll provide the jobs, I'll take care of all the logistics. I know I can do that," he said during his CNN interview. 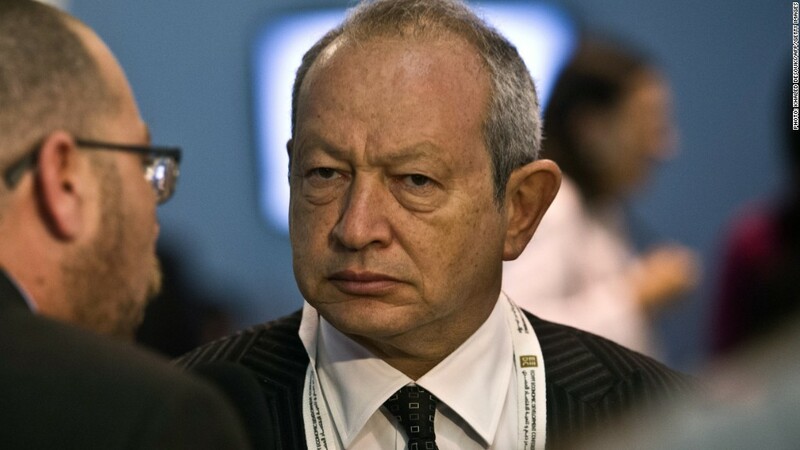 Sawiris is one of Egypt's best known businessmen, and also founder of a political party. He comes from a family of entrepreneurs; his brother Nassef is chairman of Orascom Construction Industries, one of Egypt's most valuable publicly traded companies. Europe is struggling to cope with the number of people trying to escape war and poverty. Some European countries have taken a hard line on migration and are refusing to accept any more refugees. They argue that welcoming them would send the wrong signal to people smugglers. Meanwhile, countries on the European Union's external border such as Greece, Italy, and Hungary, are facing an influx of thousands. Harrowing images of tiny bodies washing up on European shores, and the shocking news of 71 refugees found dead in a truck in Austria, are now shaking the continent to its core. EU leaders are meeting to deal with the crisis, and some of those previously against accepting more migrants, such as British Prime Minister David Cameron, are softening their stance. -- CNN's Zahra Ullah contributed to this article.